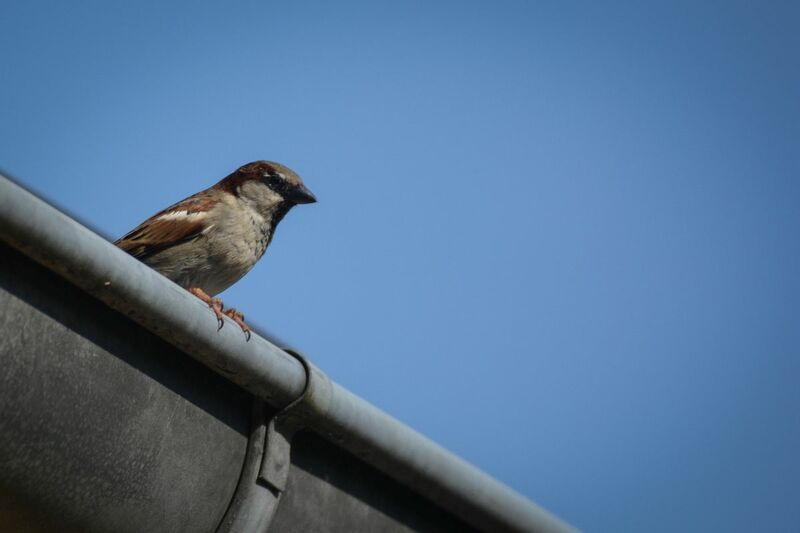 We enjoyed our barbecue on the terrace some days ago when I noticed a sparrow on the gutter, and after researching I think that it was a female house sparrow. My camera was inside and I was sure the bird would fly away if I would stand up, but I did it anyway and I was right, the bird flew away. I hoped that the bird would come back and it happened. The bird was probably building a nest in the gutter or near the gutter. I was happy that I had a few more chances to take the photo you can see in this post. I don’t have a lot of sparrow photos on my blog, so, I am happy to add one to the category. Cute little bird! Something about their markings makes them look more fierce than other small birds. Yep, it’s also hard to find them if they are on a tree, they have the perfect camouflage I think.